Maypon 4C: Maypon 4C is a mild nonionic natural protein based surface-active surfactant. Surfonic JL-80X: Surfonic JL-80X is a good alternative to Triton X-100. Surfonic JL-80X has all the same basic properties as Triton X-100, but is safer to use (See Health and Safety Notes below). Vulpex Soap: Vulpex Soap is based on potassium methyl cyclohexyl oleate. 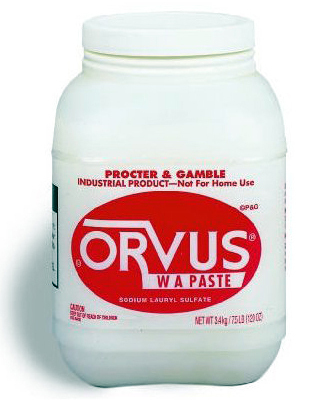 It is an exceptionally versatile cleaner for textiles, leather, carpets, oil paintings, sculpture, metals and stone. The concentrate is soluble in water or in white spirit.